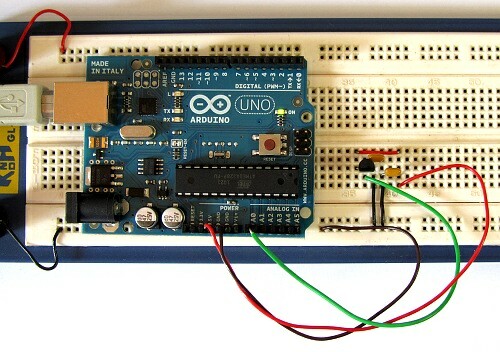 The Arduino reads temperature from a MCP9700 temperature sensor IC and displays the temperature in the Arduino IDE serial monitor window. 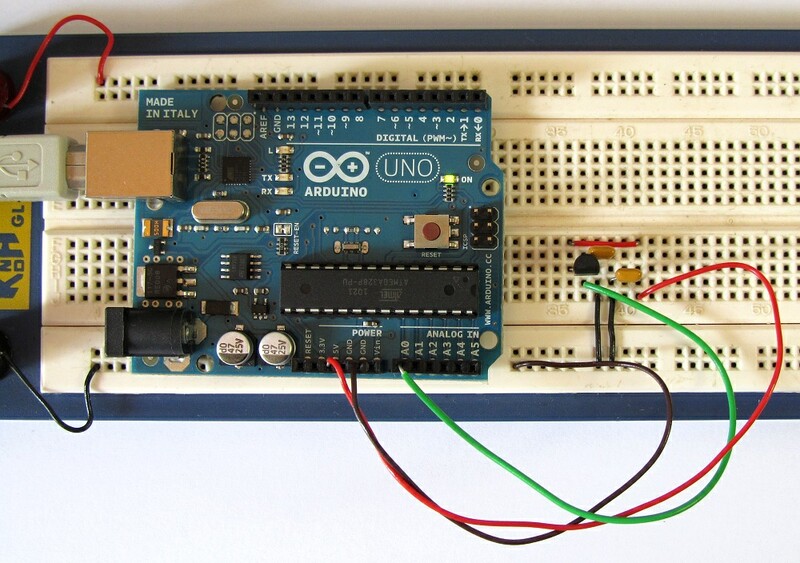 Also see the Arduino LCD thermometer tutorial (tutorial 14). 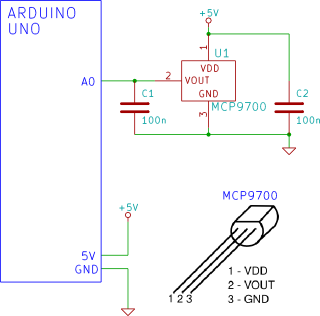 Complete Tutorial 9: Using the Arduino Serial Port before attempting this tutorial. The schematic for the Arduino serial thermometer and pinout for the MCP9700 is shown below. The MCP9700 temperature sensor is packaged in a TO-92 case – it looks like a transistor. The circuit is very simple to build, click the picture below for a bigger image of the breadboard circuit. The serial_temperature sketch is listed below. Copy the sketch and paste it into the Arduino IDE. After loading the serial_temperature sketch to the Arduino, open the serial monitor window from within the Arduino IDE. The temperature will be displayed in the serial monitor window and will be updated approximately every one second. When heat is applied to the MCP9700 sensor (by touching it with a finger for example) the temperature reading will increase.